Doesn't every little girl dream of her fairytale moment? I will cop to having a crush on Prince Harry... though for a time in middle school, while Prince William's hairline didn't resemble his father's, I would have taken either royal. Who am I kidding? I'd still take either. Sinful Colors Cinderella is the perfect shade for any woman of any age to remind her that all ladies deserve to feel like princesses once in a while. 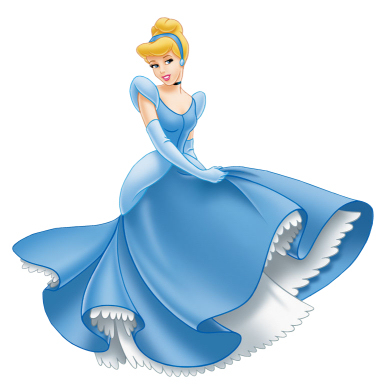 Cinderella is a light blue creme with subtle light pink microshimmer. It's so hard to capture the shimmer on camera, as it just did not want to focus on it, but it's more pronounced in person. It took four coats to build up to the level of opacity that I wanted, but it was totally worth it. What amazed me is that when I think of the Disney version, this base color is EXACTLY what comes to mind. That dress! Ahh! See what I mean? And that shimmer gives it a little bit of the Fairy Godmother magic! You can find it at your local Walgreens or Harmons Face Values for $1.99. Have you found Sinful Colors Cinderella near you? Love this color and love Sinful Colors. You can't beat it for the price. I'll have to look for this the next time I'm at Walgreens. Your nails always look so pretty! I went to five different Walgreen's in my area just to find this color! I love it! very pretty color! :) i cant wait to wear it! I am sooo wanting this and can not find it near me. it is so feminine looking and pretty. I have 4! I bought one a while back for my Easter mani (and I had no idea it was such a hot commodity at the time)... so I stopped at a few Walgreens and one of them had 3! Jackpot!! I'm going to use the other 3 for giveaways! It is s gorgeous color... and I'm not a huge pastel fan! uuuoooouuuuu I love this colour!! It's so prety!